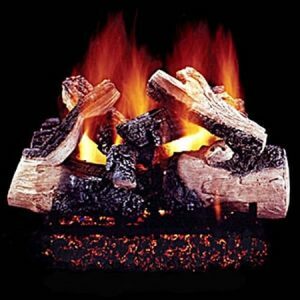 The Magnificent Inferno Vented Gas Log Set offers massive logs, with a lot of charring, and heavy, richly detailed bark. 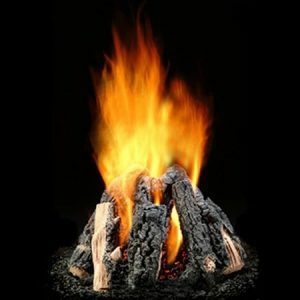 The Magnificent Inferno is defined by large two-piece front logs that create an impressive flame/ember viewing area. Thick bark texture and a detailed burned through area add to the realism. 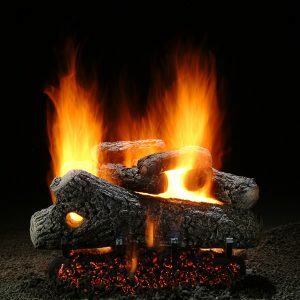 The top logs are a combination of charred logs and Western Pine split logs. 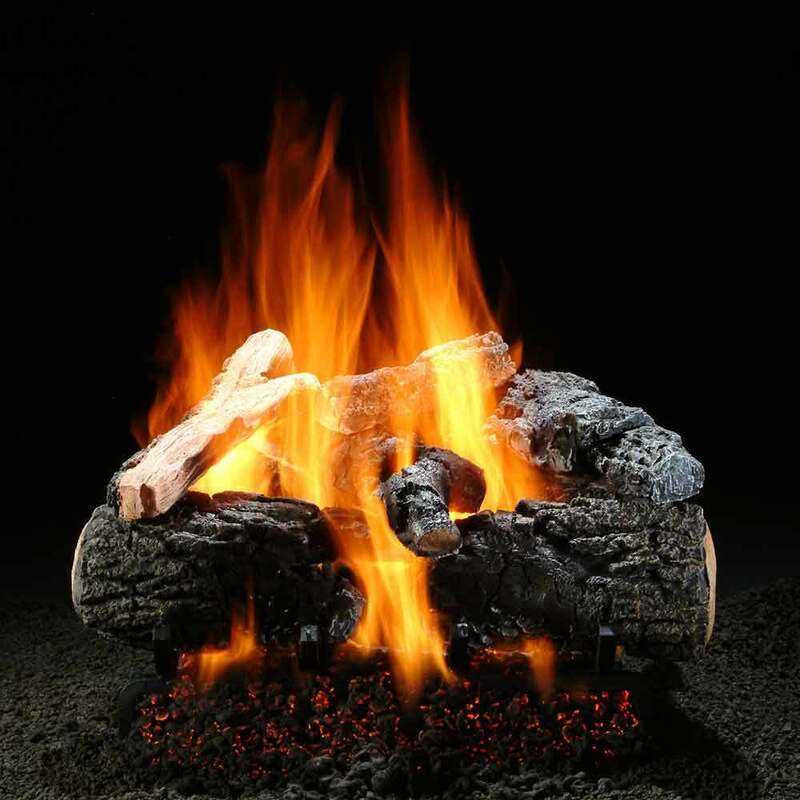 The result is a fire that appears an hour or two old, with new wood just added. 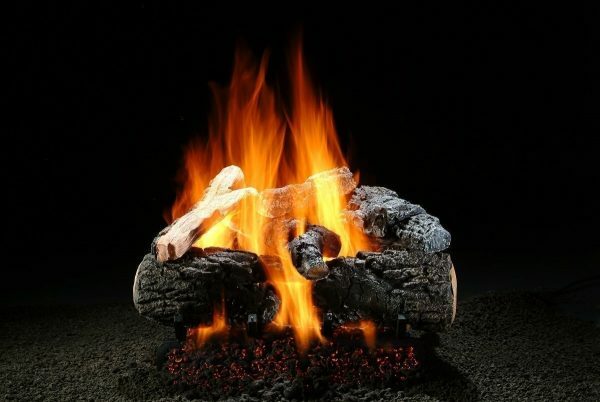 Brilliant flame patterns are created with these logs and burner combined. 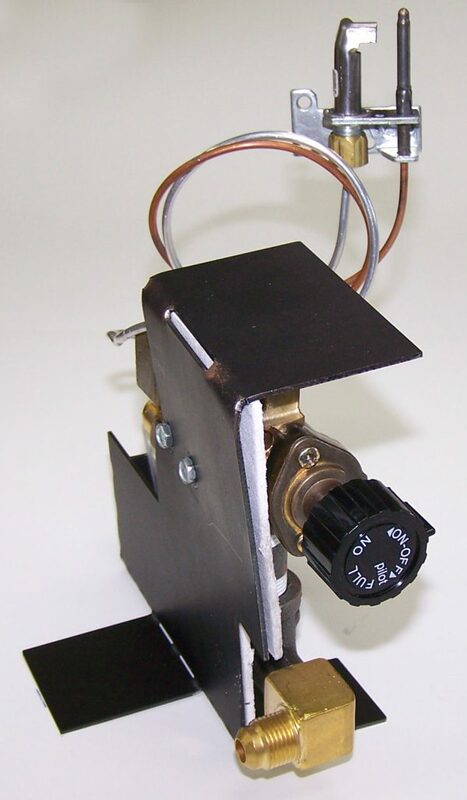 This log set allows you to customize the burning look of the logs by selecting from two different burners and multiple ignition types.